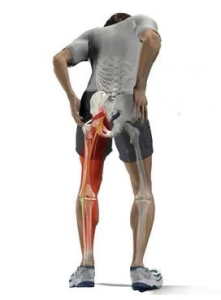 Sciatica involves pain in a person’s leg from a pinched nerve in the lower back. It is typically exceptionally painful, with electrical type burning sensations that may at times be disabling. Thankfully, only a minority of patients wind up needing surgery for the problem. When injured at work or in a car accident with resulting sciatica, workmans comp doctor or personal injury doctor can help you avoid debilitating pain. Here are eight ways that potentially risky surgery can be avoided. The first method involves over-the-counter medicines such as Tylenol and anti-inflammatories including ibuprofen and naproxen. This may sound simple and it is, but they can help tremendously, especially considering the problem with a pinched nerve mostly involves inflammation that results from it. The second method involves prescription medications. These may include non-narcotic medications such as a Medrol Dose Pak for anti-inflammation. The Dose Pak involves a hefty dose of prednisone that tapers off over a few days and relieves pain nicely. Additional options include short-term opiates or muscle relaxers as sciatica often causes muscle spasms. Another medication option is for neurogenic medications like Lyrica or Neurontin. The third treatment option is for chiropractic treatment. Manipulations from the chiropractor are not going to fix the problem of the herniated disc, but they can relieve pressure off of the nerve at least temporarily for pain relief. The fourth option is for physical therapy. This may provide stretching and strengthening to help relieve pain. Ultrasound and electrical stimulation during physical therapy can greatly relieve pain as well. The fifth treatment option is known as spinal decompression therapy. This treatment became FDA cleared back in the 1990s and has grown exponentially in popularity due to the fact that it is noninvasive, largely effective, and costs less than 5% that spinal surgery. Treatment number six is with a TENS unit. This is a noninvasive device about the size of an iPhone that fits on a patient’s belt. It transmits slight electrical impulses through foam pads on the skin, and can alter the way that the brain perceives pain signals. Treatment number seven is the interventional pain management gold standard for sciatica. And that is with epidural steroid injections. 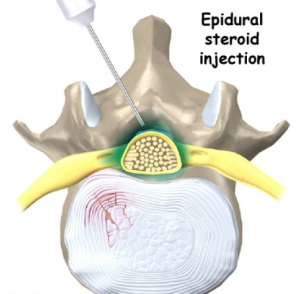 For over 60 years, doctors have used epidural steroid injections to relieve the pain from sciatica. Many studies have shown effectiveness of 75 to 90% for these injections. They are often performed as a series of injections, typically three performed over four to six weeks. They may be repeated every few months as necessary. Treatment number eight is acupuncture. For thousands of years, acupuncture has been used for musculoskeletal problems such as back pain and sciatica, with very good results. It may be an excellent treatment option in the nonsurgical regimen of sciatica. It should be noted that none of these treatments actually fix the problem of the pinched nerve. They may be very effective at relieving pain, while the body disintegrates the piece of disc that is sitting right words not supposed to be. With these eight treatment methods, surgery for sciatica is often avoided. If you have sustained an injury while at work or while in a car accident, and are now suffering from sciatica, let Arizona Injury Medical Associates help you.